Discussion in 'Introductions' started by RussellAnderson, Sep 11, 2018. Rusty here! Looking forward to meet and exchange mind blasting opinions with you guys! Thanks for the warm welcome dude! Welcome Rusty. Who do you support? Howdie Rusty, welcome to FF. 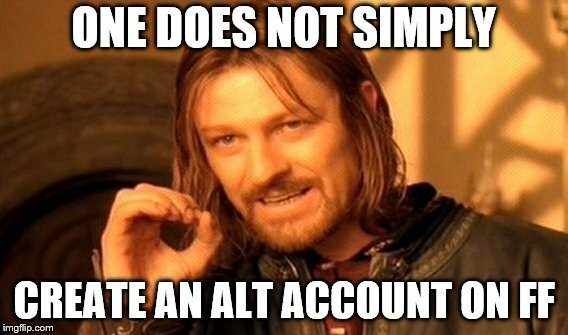 First rule of having alt accounts. Don't say the same shite over both accounts. Rule 2 of having alt accounts. Don't talk to each other. If you need anymore info on how to successfully get away with running alt accounts then speak to @Joga bonito . He has about 17. JoshBCFC, johnnyT, Sean4393 and 3 others like this. Hi mate, we do apologize for the wrong impression. Me and my best friend russel just happen to be using my computer on registering our accounts here in FF we got really excited on boosting our football knowledge in this forum and meet new friends who share the same interest. thank you very much for being so kind on pointing out this issue. we acknowledge the rule here in FF and would like to know more. please continue to let us know if there's anything else we need to know and greetings to @Joga bonito it would be our pleasure to be friends with you and shane thanks and have a good day. So your "best friend" Russell from Tokyo was using your computer somewhere in the US per remote control to log in here? For ****s sake, can't believe that I posted in your original thread to welcome you. This will teach me a lesson to give up on welcoming guys from the US who want to talk about "soccer", sucker. edit: Just saw that @TLC has banned both in one go. Hello sandsnow88, we could arrange a more personal meeting this evening at LittleChef if you would like? I will be wearing a leather jacket, jeans , socks and sandals. TLC and Shane like this.